I can hardly believe that we’ve been doing Making It Rainfall for 20 weeks now. 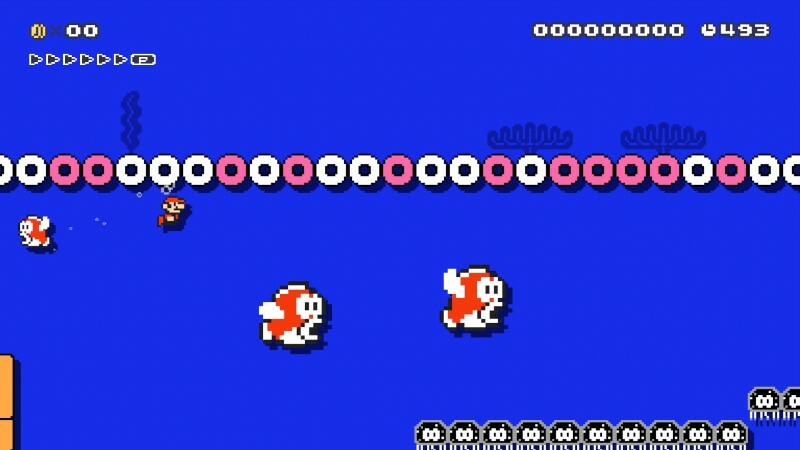 It seems unreal that our staff had that many Super Mario Maker levels in us! With that said, I have something sad to reveal – this is the last issue of Making It Rainfall. Though we’ve all enjoyed coming up with crazy levels for your gaming pleasure, it’s a lot of work to do it again and again, and frankly this series never got a lot of attention, no matter how hard we tried. But, we still stuck with it, and we figured it just made sense to stop it here. Twenty is a nice round number, after all. That said, don’t fret that we are going to end on a bummer. Since our theme is Race to the Finish Line, all our stages are frantic fights against the clock with autoscrolling. 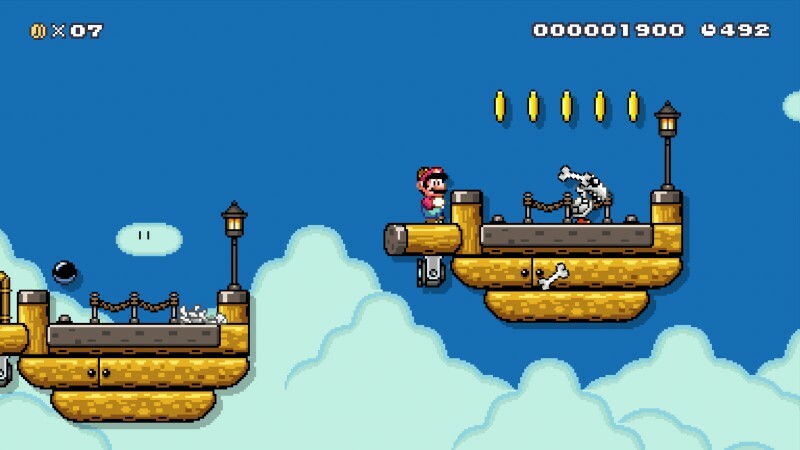 There are some really clever stages here, I think, and we hope you enjoy these last six levels. Okay that’s enough blabbing for now, let’s get to the levels! Level 1 – Super Mario GO GO GO! 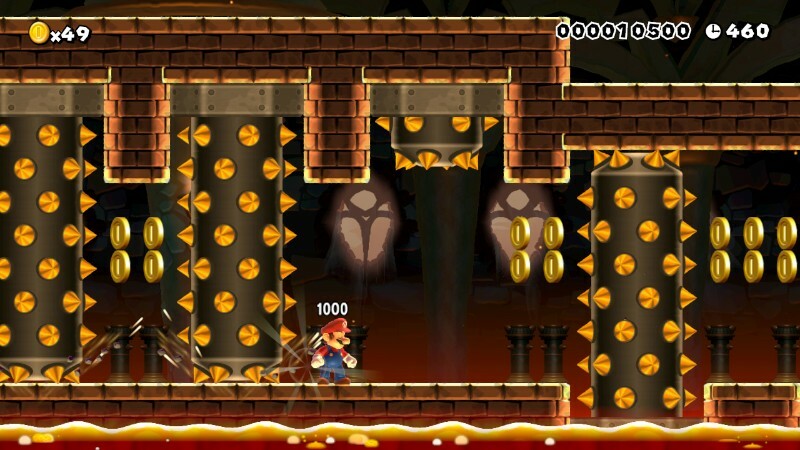 It’s a NSMB style level with only platforms and a few Munchers. I was surprised that the super fast autoscroll was still manageable with enough warning of what’s ahead. No checkpoints though, so you have to get it in one go! Level 2 – Swim Like You Mean It! Last but not least, Swim Like You Mean It! I wanted to make a swimming level, but if you do it on the fastest speed, you can’t swim past the edge of the screen, so I turned it down a level. It’s a fast paced obstacle course that requires you to maneuver around the level without getting killed. I did add a checkpoint to this one, so it’s not a one shot like the last one. I hope everyone likes it. Level 3 – Go With The Flow! I wanted to try my hand at an aquatic rush level, so I made this gauntlet. The title really says it all, so once you understand the rhythm of the stage, and move with it and not against it, you’ll do fine. That said, there are no Mushrooms or checkpoints, so one bit of damage and you’ll need to restart. 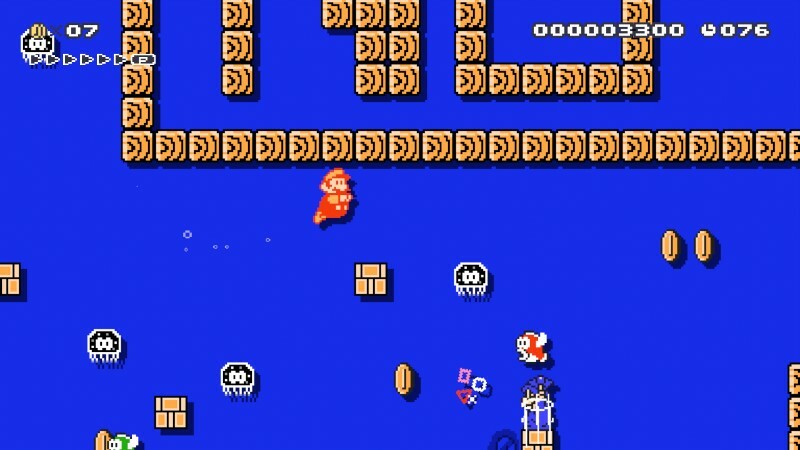 Can you survive all the frantic fish, Goombas, cannons and other traps? 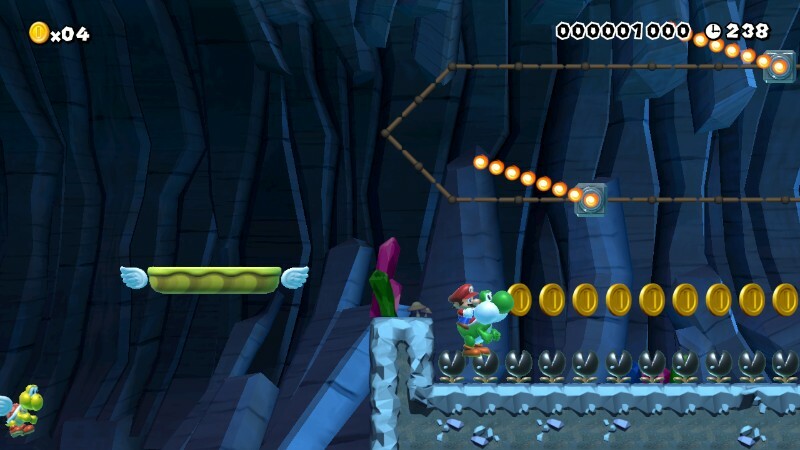 I couldn’t end this series without doing another Yoshi themed level. This one requires you to stay mounted on your valiant steed most of the level to get past all the tricks and traps, though I did relent and put in a second Yoshi towards the end of the level. Just like my other stage, there are no checkpoints or Mushrooms here, so get used to riding Yoshi and stay seated until the end of the level! Level 5 – Super Castle Run! 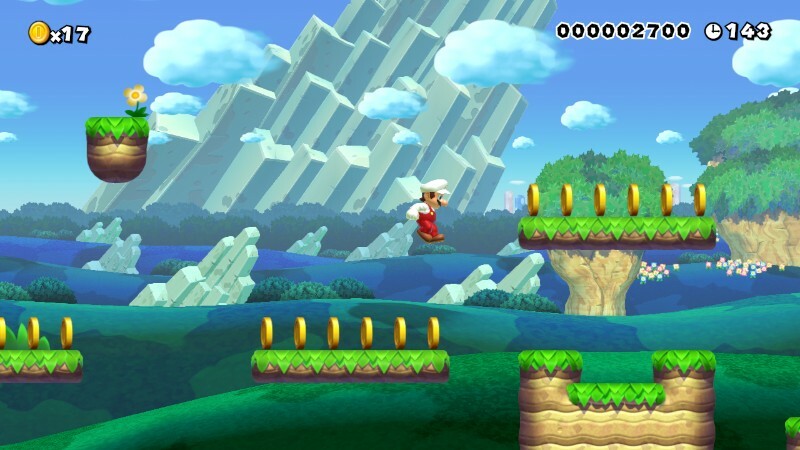 This stage is a dangerous jog through one of Bowser’s many fortresses. This level is a bit harder than my other level for this week. There are a variety of obstacles for you to avoid in this castle, and as with the previously mentioned level, the subarea has a slower auto-scroll speed to counter the faster areas in the other parts of the castle. There are a handful of 1-Ups hidden around the fortress as always, and an angry Bowser is waiting at the end with our Princess… or is our Princess in another castle? Muahahahahah!!! This level takes you on a run through the sky jumping from airship to airship. Enemies are kept somewhat sparse to keep the level from becoming a pain, since there is also medium speed auto-scroll. There is a treasure room inside one of the larger airships that contains piles of gold just waiting to be taken by our famous plumber! The interior area also has a slower auto-scroll to counter the faster scrolling areas that surround it. As always, I’ve hidden a few 1-Ups around the level, too! So, that’s it gang. I wanted to take a moment to thank all our writers who have contributed a level, past or present. Andrew and Michael have been steadfast helpers and constant sources of inspiration; Phil is a storyteller as well as a great level designer; Tyler is the master of oldschool difficult, and Will does incredible SHMUP stages. I also want to thank Mitchell for streaming our levels for us and thank Geni once again for coming up with such a great custom featured image! We hope you continue enjoying Super Mario Maker, and make sure to stay tuned to oprainfall for all your gaming news.